What up ya'll! I understand its been a while and I've been slacking on the posts. In my defense, I got a new job and they've been working me like a slave. Anywhoo, its that time so without further delays, lets get into the b33ts! 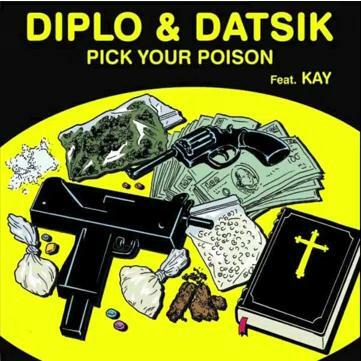 This bass heavy track is a two man effort between Diplo and dubstep master, Datsik. Along side this tune, be sure to check out the rest of the Mad Decent Vol. 1 compilation album which is chock full of brand new originals as well as instant classics. A jackin house remix on Nicky Romero's single. Loopers breaks it down with edgy synths and greasy basslines! This one is a bang-her! A dope project between Afrojack and Steve Aoki! What I really like about this track is the old school-Afrojack sound! Nothing fancy, just simple, piercing, dirty dutch!